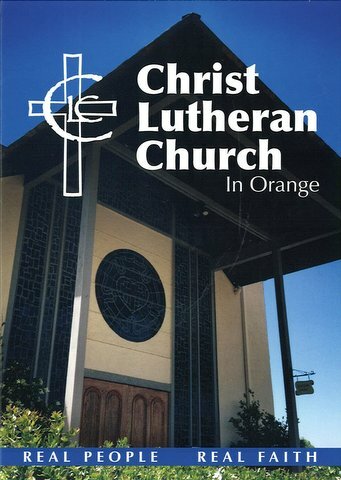 Christ Lutheran is a growing congregation with a heart for God's mission in the world. If you're looking for a Christian church to call home, at Christ Lutheran you will find faith that is real and people who truly care about you. Come for a worship visit anytime, we'd love to meet you. In addition to the Sunday morning Bible study, Pastor Keith is leading a study of the prophet Jerimiah in the Fireside Room. See a slideshow of our community and get a glimpse of some of the many activities that take place at CLC. On the first Sunday of each month we celebrate "Good Samaritan Sunday." In addition to the local and global missions we support with our regular offerings, we have the opportunity on Good Samaritan Sunday to thank God for the many blessings He provides. We do this with a special offering that is dedicated for food, clothing, shelter, and other emergency needs that come to our attention each month. We love because God first loved us. 2715 E. La Veta Ave.